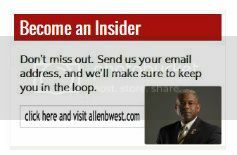 This entry was posted in Election News 2012 and tagged Allen West, Angela Graham West, Angela West, Barack Obama, Col Allen West, Democratic Party, Democrats, Dr Angela Graham West, Dr Angela West, Irish Catholic, LTC Allen West, Michelle Obama, Obama, Republican, United States. Bookmark the permalink. Freedom is a hard sell, isn’t it? Especially when contrasted with Free Stuff. A PR Campaign for Jesus Christ – challenging, I would say. That sounds to me like a video for utube. Personally, I run around in jeans and a T-Shirt with a cross. We have to do “cool” without naked ladies, abusive language, rap without words that ignite or fuel conflict, etc. One thing is for sure – we do need some good slogans. I am so far out-of-touch with a youthful group. I, am, however, a good example and that does go a long ways. I thought that Dr Maya Angelou was a positive role model. I bought a bunch of her cookbooks as well as a couple Audio CD’s. I stand opposed to the “skull” thing, although I have shirts and clocks with Ed Hardy. My niece and nephew are into photos by cell phone. I probably could post X-Box games. You know, it almost sounds like we need another group or a couple of people to work on that. Now, Kerusso products do have the spinner rings, guitar pick and dog tag necklaces which I have bought. This may be something that is a bit “border line” for my Ebay. In fact, I am not sure young people use Ebay at all – I haven’t found that that to be true. I don’t think that is where they are purchasing things from. Now, they might in the future as broke as we all will be. I guess you heard the good news – Supreme Court is taking Obama down. He is being pressured to resign, but that does not mean he won’t be held accountable for a great many things. You see, since Congress didn’t do what they should have gone – which was to impeach him, the Court had to do it. Now, that leaves us with a mess. It is possible that Obama may try an coup d’etat – it would be stupid and that is why he might consider it – after all, like I said before, only he knows what is best, and like I have said before, he does have a mental illness. All Governors of all States need to be prepared – put the National Guard on “Alert” – at least for a few weeks or months, advise all Sheriffs and Police Departments as well. He has another “appointment” with the Supreme Court regarding forgery – as you probaby know. There will be no Agenda 21, and many, many countries are going to be “hacked” off with us including Great Brittain, France, Australia, and all those that switched over to a Socialist government. Many gave up antiques, relics – guns that had been in their families for generations. I am really sorry about that, but this Nation is about Freedom – God given Freedom – and no government can take it away. A One, World, Government to prevent War and Share Resources, is just plain nonsense – that sounds like the brain child of our “would be” dictator. Wars are unfortunately, unavoidable, but sometimes very necessary – like the loss of 6,000,000 Jews. Obama was and is so far out there that he thinks that he can change the very nature of man. It is naive, but it goes beyond that … he really is quite sick with the Narcissistic Personality Disorder or Meglamania. Remember when he went to speak at a funeral and then started discussing his Hawaiin vacation? I noticed the other day that President Clinton spoke at the last funeral. That tells me that there were people that knew and took no action. In fact, I am so angry with almost every representative in Congress, I could spit tacks. They had opportunity, after opportunity to do something and yet they did nothing. The Supreme Court should never have been involved – he should have been impeached long ago. I will be sending a rather “scathing or scalding letter” to every single representative in Washington inviting them to resign and/or be considered an accomplice. Think that will get their attention? I am tired of being ignored and the American People are tired of being ignored, and I am going to tell them just what they did or did not do. They have no business working in Washington as representatives because they aren’t representing anybody, but themselves. Now, I know there are probably 5-10 percent that maybe tried – but, didn’t try too hard – did they address the Nation or the Governors? I will be as “nice” as I possibly can and “invite” them to resign for the good of the Country. And then, for the more “notorious” goes the accomplice warning. Let me see if I can get any to quit or resign. There could be some “openings” available within the next 6 months or so. It seems I still have “Freedom of Speech” no thanks to Congress. Obama could also stall the Supreme Court too for a bit, but, I bet not long. So, I will have to get busy on that as we are going to need some “take action” people in Washington before nobody has money or a business. I really don’t know much about the PR. I can appeal to older people of color, but I just don’t get business from the youth. I will talk to your wife though – maybe, she has an idea of how I can help. After that, I am going for the jugulars of the “so-called” journalists.